All the gun handling kit was provided. the elevation could be set, the flexible sponge and rammer. above the gun station as was proper fashion. 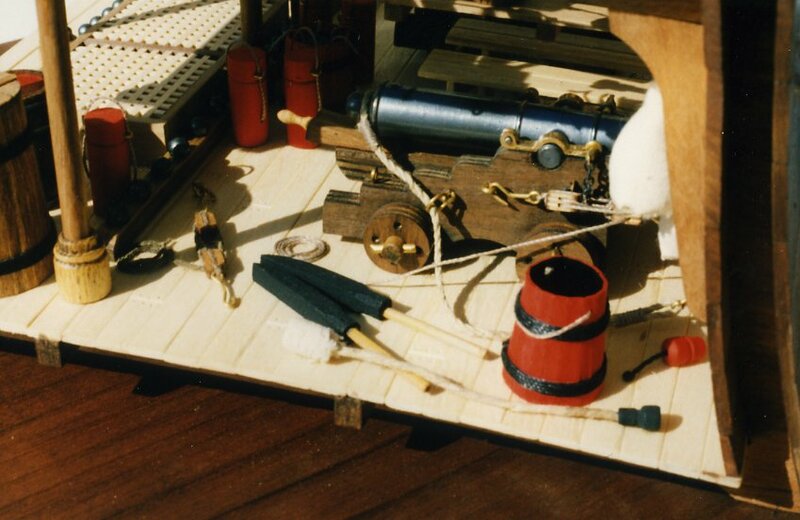 The red cylindrical items you can see were the cartridges. each cartridge containing a bag of full measure for one shot.